The small Falls Church City school system mostly led the pack in Northern Virginia and the state as a whole when it came to its students passing the Standards of Learning tests. See where other Northern Virginia schools rank. WASHINGTON — The small Falls Church City school system had the highest pass rate in Virginia for three of the five broad categories in this year’s Standards of Learning tests. Falls Church led pass rates in reading, writing, and history and social science statewide. In math and science, Falls Church’s pass rate tied for fifth and sixth respectively statewide. How did other Northern Virginia schools fare in the annual standardized test? The larger Loudoun County tied Falls Church’s pass rate in science, the only category where Falls Church was not the sole leader among Northern Virginia school systems. In all five categories, Alexandria, Fredericksburg, Manassas, Manassas Park and Winchester had the lowest pass rates among Northern Virginia schools. Statewide, Greensville County, Danville, Richmond and Petersburg were among the areas with the lowest pass rates. The 2016-2017 school year’s results released Tuesday showed largely stable scores over the last three years, although there were fluctuations for some school systems. 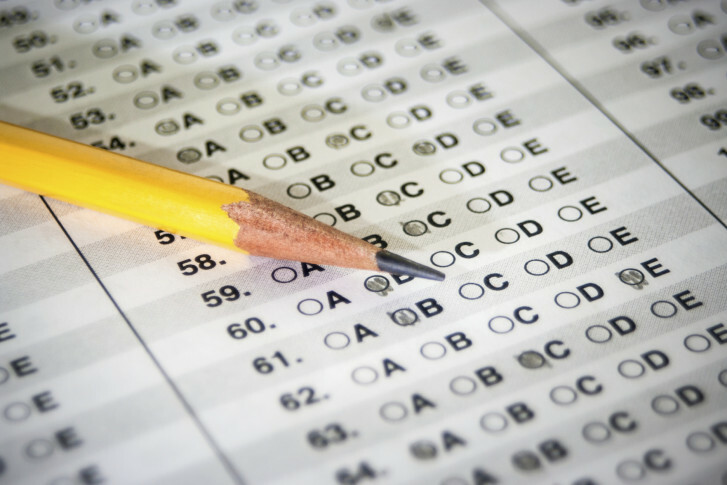 Falls Church, Arlington County, Loudoun County, and Fairfax County had the top pass rates in Northern Virginia for the separate reading and writing tests. Stafford, Fauquier, Orange, Prince William and Spotsylvania schools were next on the list for reading. In writing, Stafford, Culpeper, Fauquier, Prince William and Spotsylvania were next, with Orange County showing just a slightly higher pass rate than Manassas Park. Falls Church, Arlington, Loudoun and Fairfax also led Northern Virginia in pass rates on math SOLs. In the middle in the region, Spotsylvania County scored an 80 percent pass rate followed closely by Prince William County, Fauquier County, Orange County and Frederick County. Fauquier County joined Falls Church, Loudoun, Arlington and Fairfax in the top five pass rates in Northern Virginia on science SOLs. Orange, Stafford, Frederick, Prince William, Culpeper and Spotsylvania sit in the middle for the region. On history and social sciences SOLs, Falls Church led the way with a 96 percent pass rate followed by Loudoun, Fairfax, Prince William, Arlington, Orange and Stafford counties. Frederick, Fauquier, Spotsylvania and Culpeper counties each had pass rates 84 percent or higher, while 80 percent of Winchester students passed the tests. Alexandria and Fredericksburg schools had the lowest pass rates, 76 percent, followed by Manassas at 77 percent and Manassas Park at 78 percent.